The real luxury of having a few days off work is that I have actually had time to read – not read as I do for work but just curl up on the sofa for hours at a time and actually enjoy a book. For Christmas/my Birthday I got several books but was most excited about On Liberty. 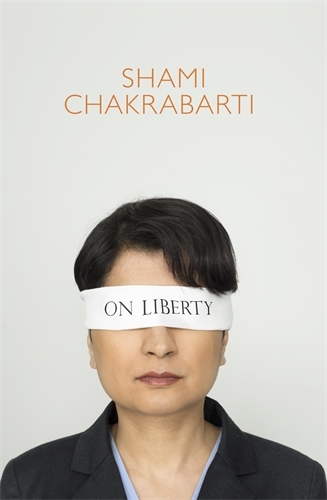 Whenever I hear Shami Chakrabarti speak she always makes perfect sense to me. She can articulate clearly things that I just sort of feel but can neither put my finger on nor reason out fully. So you might say my expectations were high when I started reading. I finished the book in 3 sittings – the first only cut short by my inability to keep my eyes open past 11pm and the second by a cat deciding the book would make a comfy pillow. It’s a good book, it’s an easy read but it is also an important book. It’s a book, that for me, puts into focus why I like living here, why my politics are my politics, why I love law and why I love teaching law and teaching it at an institution like the University of Bradford. I’m not a human rights lawyer, I have a basic familiarity with the legal provisions and even some of the cases (told as the personal stories they are in the book!) but I’m no expert and to read this, to understand it and to really think about it you don’t need to be. Shami has done the hard bit for us all and she writes so clearly and so persuasively that I find myself wondering why I hadn’t been able to articulate exactly that before I read her arguments. The key thing I keep coming back to – because like any good book On Liberty haunts me for a bit making it impossible to start another book, impossible to really think about anything other than the arguments or the story while what I read whirls around in my head – yes the key thing is this: The Rule of Law. In various contexts I have been thinking about the rule of law lately. I have been involved in various committees etc inclusing one looking at the Quality Assurance Agency standards for law degrees in the form of the subject benchmark; there’s the various Law Learned Associations and our responses to changes to the regulation of the education and training for lawyers and then there is of course the introduction of new programmes at Bradford. All of these activities throw up the question of what we/I think a law graduate should understand/know/be able to do. What is a law graduate? Well, after reading On Liberty it seems to me that the answer is actually quite simpe – A law graduate must understand the rule of law, know its importance and be able to defend it. That’s it. Everything else is detail. And of course I mean rule of law proper – not some watered down for convenience version where the powerful get to make exceptions when it suits them. Of course Shami is writing in a particular context – that of Human Rights and it is here where the need for adherence to the rule of law is perhaps at its most obvious, where it hits you in the face but there are countless other examples and the strength of the book, in my view, is that it shows how all our rights and those of others are interconnected. Things that do not immediately jump out as Human Rights issues so cleary are if you just stop to think for a minute (or accept that not everyone can have as brilliant a mind as Shami Chakrabarti and let her take you through the argument instead). Occassionally the book rambled a little but in a good way, the way conversations ramble and move from one issue to the next not always following a predictable path but getting to the point nonetheless. It does this even where the terrain gets tricky, teacherous even. I like that Shami does not shy away from calling things difficult, that she admits that sometimes things make her uncomfortable. I read the passages about religion towards the end of the book with interest. I have always struggled reconciling my views on human rights, equality, religion etc and once again Shami does it for me – it’s ok to feel uncomfortable about religious symbols, dress etc but that doesn’t mean we shouldn’t allow people to wear them. It’s ok to be offended and it is ok to offend. There must never be a right not to be offended, I agree. I also agree that there are difficult lines to be drawn for each of us personally and maybe also legally so I leave you with this quote from the TV Series The West Wing which Shami uses (see p 120) and which is one I had noted down for teaching. In the series (fictional) Matt Santos, Presidential Candidate, says this about the US Constitution and religion: ‘This wasn’t designed to make us comfortable. It was desgined to keep us free’. I think it applies to Human Rights and the rule of law too.